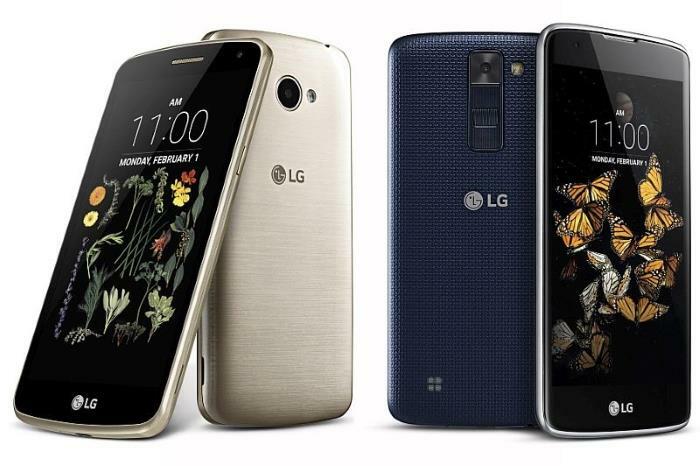 LG has added two new budget-friendly smartphones to its K series line up, the LG K5 and LG K8. Both handsets are targeted towards the entry-level segment of the market, which is quite popular in developing markets. The handsets will hit retail in several key markets across the globe later this week, including Asia, Africa, the Middle East, CIS and Latin America. The LG K8 comes with a 5-inch HD display, 1.3GHz Quad-core processor, 8MP rear camera for photos and videos, 5MP front-facing camera, 2,125 mAh battery and ships with Android 6.0 Marshmallow as its operating system out of the box. The handset’s RAM varies from market to market, it ships with 1GB of RAM in Latin America while other markets get 1.5GB of RAM. On the other hand, the LG K5 offers a little lower specifications, boasting a 5-inch FWVGA display, 1.3GHz quad-core processor paired with 1GB of RAM and 8GB of internal storage, a 1,900 mAh battery and ships with Android 5.1.1 Lollipop as its operating system. Let us know if you’re planning to purchase any of the two devices when they launch later this week.